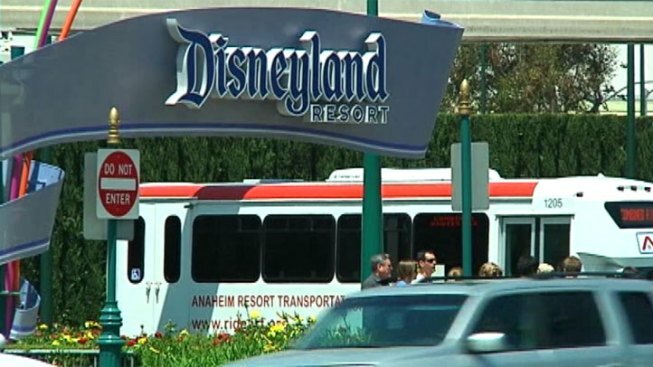 A woman eager for a day of Disney-filled fun arrived to the Disneyland ticket gate only to find that her "park hopper" tickets she purchased from a stranger on Craigslist were phonies, according to police. Police said a man who called himself “Chris Ruiz” met the woman in a Food 4 Less parking lot in Wilmington to sell four tickets at $60 each -- tickets that usually sell for upwards of $125. The man, whose real name is Edward Anthony Contes, 31, turned himself in to authorities at the Los Angeles Police Department's Harbor Division station in San Pedro and was being held on charges of petty theft Friday. Contes faces felony charges because he had at least three or more prior convictions and served jail time, according to police. "He came into the station to 'clear his name,'" said LAPD Officer Thomas Baran. "But we arrested him. He's been doing this for awhile. His friends and relatives called him after they saw his picture on the news." On Jan. 22, after the woman -- who wished to remain anonymous -- paid $240 for four tickets, the seller assured her the tickets were real by volunteering to take a photo together in the event of a mishap at the ticket gate, she told NBC4 via phone. “The woman expressed concern that they were not real, so the suspect gained her trust and said, ‘Let’s take a picture so that way you have it,’” said Detective Don Eldridge of the LAPD’s Harbor Division. Eldridge said this was the first time he had seen this particular scam. “A lot of times, scams go unreported, but in this case she had a picture of him,” Eldridge said. “We don’t always catch the smart ones." Police had asked the public to use the photo in an effort to identify the man. After the Disneyland employee confiscated the fake tickets, she emailed “Ruiz,” but he never followed through with his promise to “make it right,” police said. She filed the police report two months later. The all-too-common crime prompted Disneyland to crack down on the ticket scam in January by giving iPads to clerks so they could take pictures of pass-holders upon entry, which resulted in longer lines. “To ensure that our guests are not taken advantage of, we strongly recommend that they only purchase tickets only from the Disneyland Resort or an authorized retailer,” Disney spokesperson Suzi Brown said. The iPad policy was part of a months-long effort to crack down on ticket brokers who were re-selling the multi-day passes – which offer discounted admission over a period of days – to a number of guests instead of to just one person, Brown said. "If it sounds too good to be true, it is too good to be true," said Baran. "He could have been doing this for a long time, there could be other victims out there." NBC4's Hetty Chang contributed to this article.